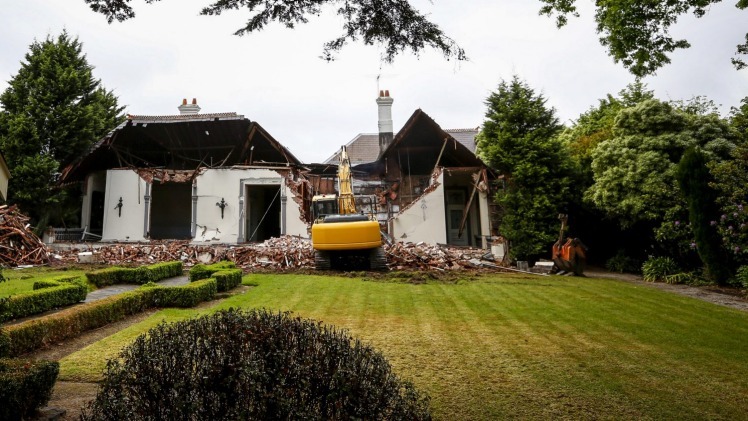 A historic mansion is torn down in Toorak. 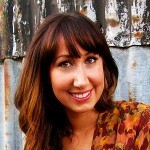 Video by Emily Power and Kirsten Robb. Toorak residents are furious that the owner of a landmark local mansion has begun tearing down the house after a failed heritage protection bid. The front portion of Idylwilde at 16 St Georges Road, sold to Xiaoyan “Kylie” Bao for $18.5 million in September 2013, has been ripped open, with the ornate interior of the property exposed to the street. 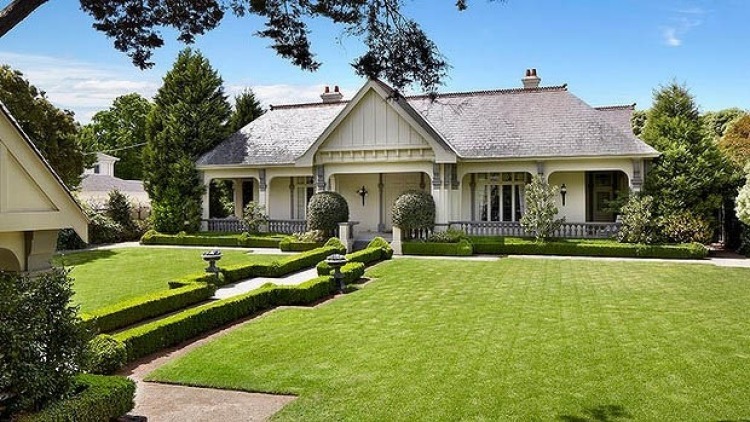 Built in 1913, the Queen Anne-style estate was marketed for sale as a “home for the generations” and “a rare and beautiful piece of Australian real estate”, but it took Ms Bao just two months to apply to council for a permit to knock it down. The move prompted the City of Stonnington to apply last year to then-planning minister Matthew Guy for interim heritage controls, with the support of Toorak residents. The property, while much loved by locals and iconic to the suburb, was deemed to not be of “sufficient architectural significance” for Mr Guy to step in and grant heritage protection. The minister rejected a bid by council in May last year based on advice from Heritage Victoria, the planning department said in a statement. An application to both Heritage Victoria and the Heritage Council, temporarily halted demolition works but was also declined. Stonnington mayor Melina Sehr said that under the law, the council could not refuse the homeowner’s consent for demolition. 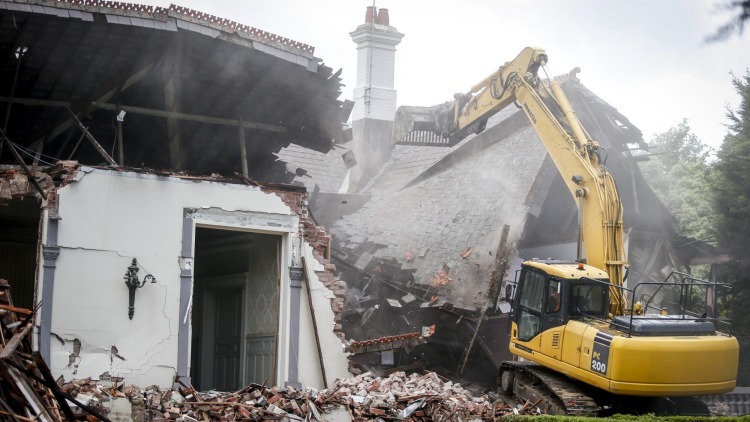 Crews tear down the 102-year-old mansion. “Council works hard to ensure that the heritage of Stonnington is protected,” Cr Sehr said. Ms Bao is the wife of Chinese billionaire-turned-Australian investor Wang Hua and is herself the owner of the Heritage Golf and Country Club in Chirnside Park, which The Age reported in March she took control of in a separation arrangement with her husband. 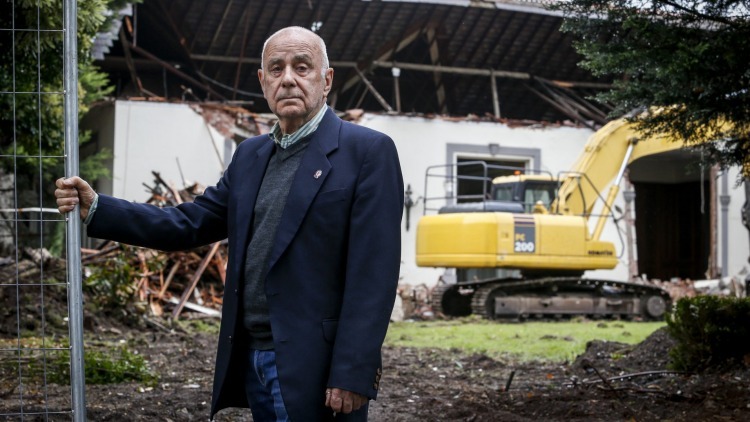 Eddie Young, Toorak Residents Action Group president, says locals are upset at the demolition. An excavator, surrounded by rubble of bricks and wooden beams, continued to raze the home, ripping down the roof on Wednesday as distressed locals watched on. An irate neighbour – who did not wish to be identified – attempted to stop the works, approaching the site manager to complain. A motorist slowed her car to scream “it’s a f—ing disgrace” as she drove past the wreckage on one of Melbourne’s most exclusive streets. Demolished: 16 St Georges Road. Toorak resident Dr Ann Singer was visibly shaken as she paused to watch the excavator gouge the old home. 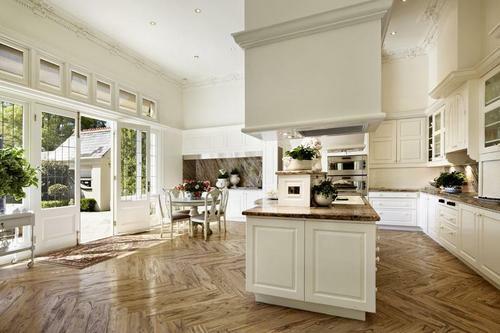 Dr Singer described the property as a “real treasure” of Toorak. “And to just come out one day and see it knocked down is tragic, just absolutely tragic,” she said. Eddie Young, president of Toorak Village Residents Action Group, said Idylwilde was a standout home on the street. 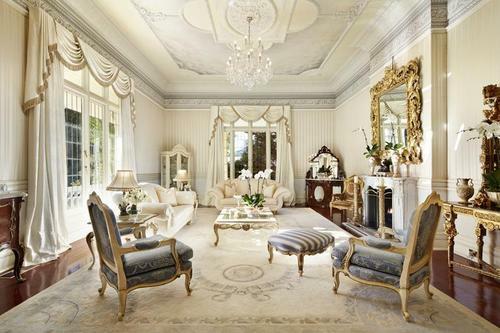 “It is not a historically valuable home, but is aesthetically a wonderful-looking home that is similar to those of which we would like to retain in Toorak,” he said. “To see it go down is disappointing. “The main concern, from my members, some of whom are St Georges Road residents, is that you often find – and it is subjective – that grotesque buildings take their place. “New zoning to a large extent has prevented the building of the sort of monoliths we have seen in the past, but there is no restriction on design. Local homeowner Helen Elsworth, who has lived in neighbouring Orrong Road for 30 years, said the demolition was “shocking” and the home’s former owners would be devastated. “I thought it was the most beautiful house I had ever seen,” Ms Elsworth said. She said fellow residents were concerned that apartments will be built in its place. 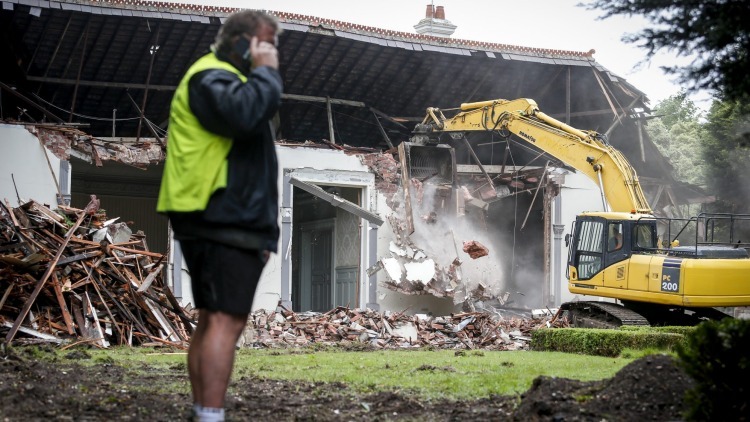 Ms Elsworth said locals were saddened when the former Baillieu family estate at 39 St Georges Road was demolished by property developer Harry Stamoulis, who has gone on to build one of Australia’s most expensive and elaborate mansions on the site. Stonnington Council confirmed no recent planning applications have been lodged by Ms Bao, who will not need a permit to construct a single dwelling. Stonnington Council has sought approval from the Victorian Planning Minister Matthew Guy to ensure permanent heritage overlay protection for 19 neighbouring Toorak properties. 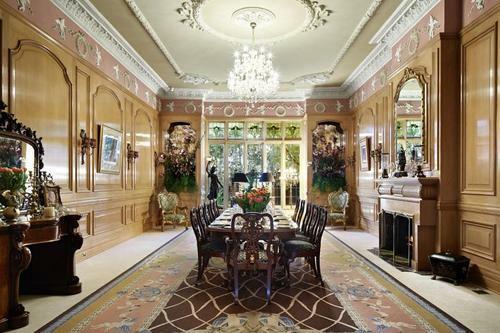 They included Idylwilde, the historic 1913 Edwardian villa with art nouveau influences, aka Ulva, which the Chinese tycoon Wang Hua, from the Jeshing Group and his wife, Xiao “Kylie” Yan Bao bought for $18.58 million last Septemberfrom LU Simon boss Peter Devitt with intentions to demolish. The council received an application for demolition at 16 St Georges Road, prompting a December 2013 request to the Minister for Planning to intervene with a ministerial amendment by including the property in the Heritage Overlay with interim protection (Amendment C188). It was not previously affected by a heritage overlay, however the building was flagged for investigation as part of previous council heritage studies. A notice refusing consent to the proposed demolition of the building was issued in late December last year. Although the City of Stonnington believed that the owner had an intent to demolish, the council deemed there was no at ‘immediate or imminent’ threat. The planning department then advised Council that it must expedite a planning scheme amendment to introduce a permanent heritage overlay for the site. 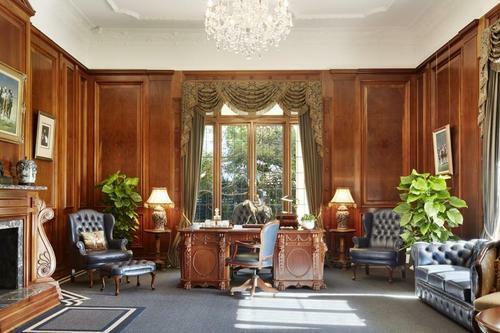 One of China’s wealthiest people has bought a Toorak mansion for more than $20 million amid claims the businessman regularly flies into the country in a private plane carrying suitcases of cash. Entrepreneur Wang Hua is China’s 790th richest person, with a net worth of $400 million that the 54-year-old is seeking to sink into residential developments, wineries, timber companies, golf courses and luxury homes in Australia. I am very rich, I have my private airplane, all my wealthy friends know I have bought a golf course in Melbourne… I cannot lose face. 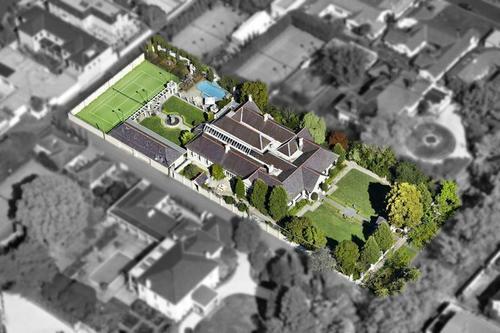 Mr Wang, a former People’s Liberation Army Navy serviceman, is the mystery buyer who spent at least $20 million in September for the sprawling Toorak estate owned by Peter Devitt, the director of construction company LU Simon. The sale of one of Melbourne’s most expensive trophy homes took place after Mr Wang flew into the city on his personal jet, which he uses to shuttle between his adopted home and the Chinese operations of his conglomerate, Jeshing Group. The Toorak property, 16 St Georges Road is one of Melbourne’s most significant homes. It sits on just about an acre, the home of LU Simon building company director Peter Devitt and his wife Jo and their family for many years. It is being marketed internationally via a website and a short film with a sound track called Beautiful Rose by composer Alex Khaskin. The lead actors were professionals, Gary Glenn and model/law student Millie Davis. Not sure about the labrador. All co-ordinated by market leaders Goldeneye Media whose campaign secured 33,000 views in its first week. Agent Ross Savas was talking around $20 million for the property on its listing late last year. 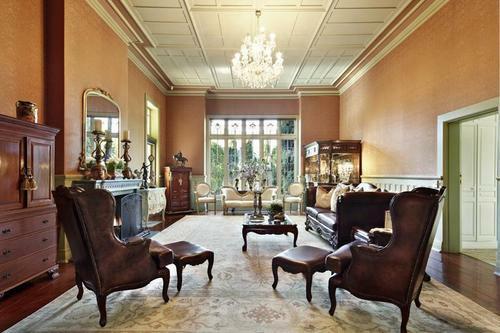 The Toorak property, 16 St Georges Road, one of Melbourne’s most significant homes, has been sold through Kay & Burton. It was marketed internationally via a short film produced by Golden Eye Media. Property Observer gleans 16 St Georges Road has been bought by an off shore Asian buyer who first inspected the property several months ago. The mainland Chinese buyer flew into Melbourne last week on their private jet to put the signature on the contract. It last traded at $4.4 million in 1997. 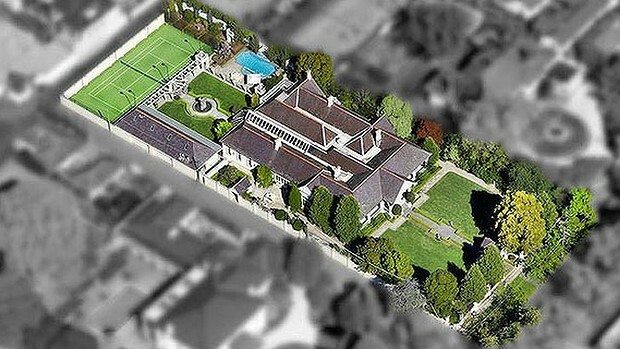 There has been no official confirmation of the price of the Georgian-style mansion on Towers Road, Toorak but it is understood to have fallen short of the Melbourne record of $24 million. 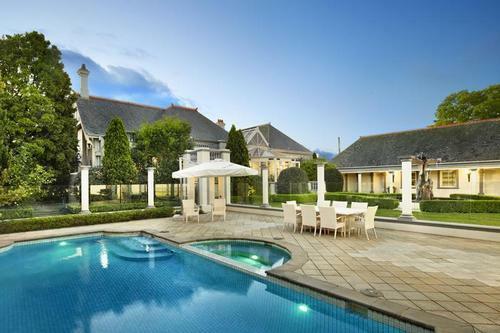 Property Observer gleans it sold for around $21 million, a very healthy result. A $20m+ listing emerged on the market last week on what has historically been considered the most prestigious stretch of St Georges Road in Toorak. 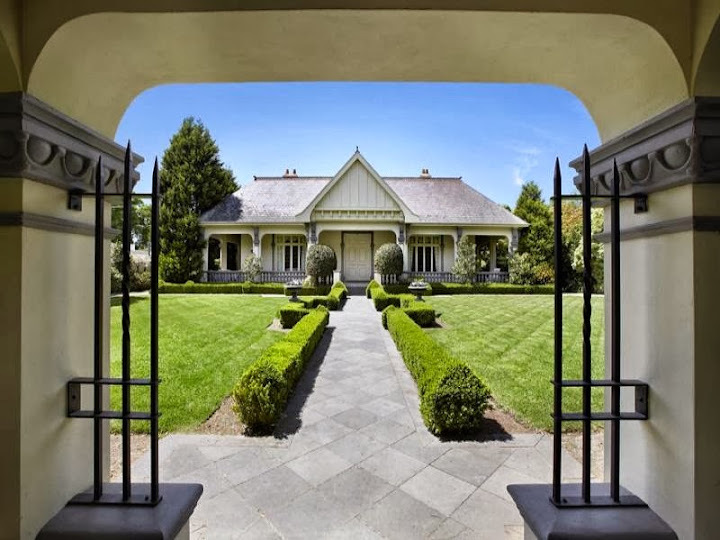 Directly across the street from Toorak House, 16 St Georges Road is an early-20th Century self-described “Art Nouveau” (although it’s not Art Nouveau at all, “Arts & Crafts” would be more apt) estate sitting on a full one acre spread of land. The home has been extremely well-maintained; so much so that the Radical Terrace ventures to say the floor plan is mostly in original shape (save for the placement of the master bedroom). The home sold to the current owners in 1997 for either $4.4m or $5m, depending the source. 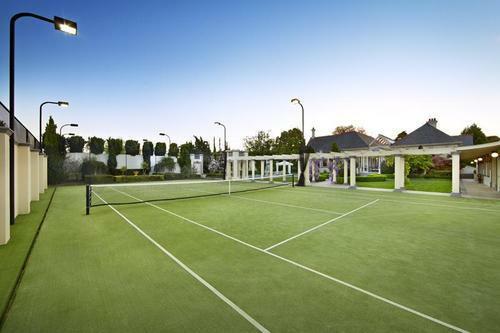 It’s a fun listing for a few reasons: for starters, the home rests on what is today considered a large parcel of Toorak land. However, in its original state, it was one of many 1-acre parcels that sat north of Toorak Road in between far larger multi-acre estates, almost all of which have since been heavily subdivided. And although we can’t get our hands on an exact date of construction, it’s non-existence on MMBW maps date the home post-Federation. The exterior Arts & Crafts treatment speaks to a popular style of that era, but the lack of orientation to the outdoors and grouping of all public rooms at the front of the house indicates a slightly dated and thoroughly Victorian floor plan. A floor plan, mind you, that hasn’t changed much since. The interiors are of a certain indiscriminate period, but thankfully Kay & Burton alongside Goldeneye Media produced a video that helps us viewers better understand the lifestyle associated with such a residence. The four minute video titled ‘Imagine a Place’ features a happy blonde-haired, white-skinned family playing with a labrador retriever, meeting foreign dignitaries, and hosting dinner parties with name cards! All in, it’s four minutes of our life we’ll never get back. And there wasn’t even any of the fun homoeroticism (and vague diversity?) 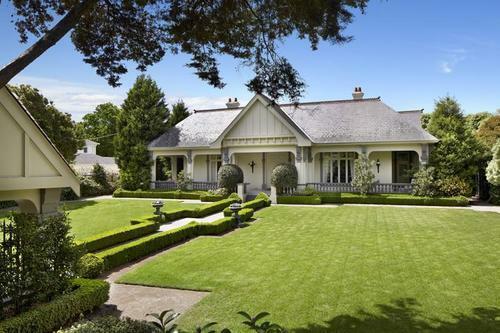 of Goldeneye’s previous film that apparently helped sell Portsea’s Ilyuka for $26.5m last year. 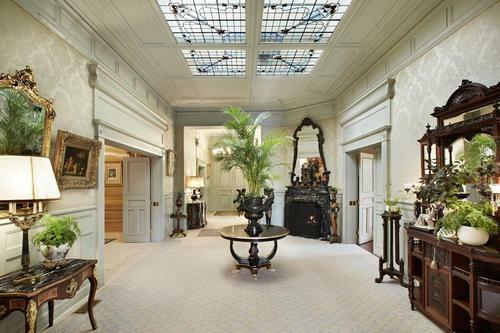 Beautiful fireplace, wood panelling is not ornate, so more Edwardian than Victorian era. An Edwardian interior, beautiful leadlight glass.